Samskaras, or Hindu rites of passage, according to the ancient sage Panini, are the ornaments that decorate one’s personality. They mark the important stages of one’s life and enable one to live a fulfilling life complete with happiness and contentment. They pave the way for one’s physical and spiritual journey through this life. 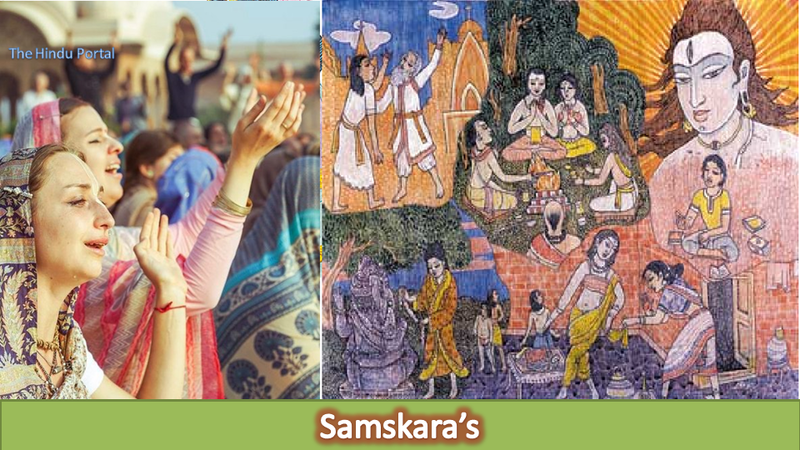 It is believed that the various Hindu samskaras meticulously leads to a purification of one’s sins, vices, faults, and even correction of physical deformities. The Upanishads mention samskaras as a means to grow and prosper in all four Dharma (righteousness), Artha (wealth), Karma (action) and Kama (work and pleasure), and Moksha (salvation). How Many Samskaras do Hindus have? The detailed explanation about samskaras is found in the ancient Hindu scriptures – the Smritis andGrihasutras. However, all the different Grihasutrasdiffer on both the names and numbers of samskaras. While the sage Aswalayana lays down 11 customs, Bauddhayana, Paraskar, and Varaha explain 13. Sage Vaikhana has 18 and Maharishi Gautam talks of 40 samskaras and 8 self qualities. However, the 16 samskaras that Rishi Veda Vyas propounded are considered the most important rites of passage in a Hindu’s life. What are the 16 Major Hindu Samskaras? Garbhadhana is the conception ritual for having healthy children. Lord Brahma or Prajapati is appeased by this ritual. Punswana is the fertilization ritual performed on the third month of pregnancy asking for life and safety of the foetus Once again Lord Brahma is prayed to in this ceremony. Seemantonnayana ritual is observed in the penultimate month of pregnancy for safe and assured delivery of the baby. This is a prayer to the Hindu God Dhata. 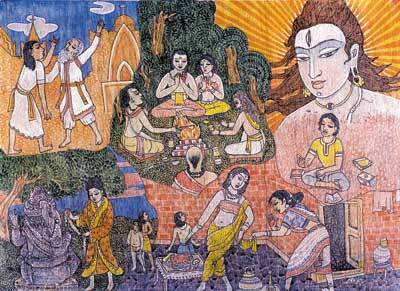 Jatkarma is birth ceremony of the new-born baby. On this occasion, a prayer is observed for goddess Savita. Namkarana is the naming ceremony of the baby, which is observed 11 days after its birth. This gives the new-born an identity with which he or she will be associated all his life. Niskramana is the act of taking the four-month-old child out for the first time into the open to sunbathe. The Sun God Surya is worshiped. 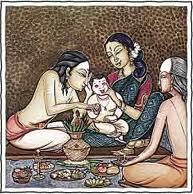 Annaprashana is the elaborate ceremony conducted when the child is fed cereal for the first time at the age of six months. Chudakarma or Keshanta karma is the ceremonious tonsuring of the head and Lord Brahma or Prajapati is prayed and offerings made to him. The baby’s head is shaved off and the hair is ceremonially immersed in the river. Karnavedha is the ritual of having the ear pierced. These days it is mostly girls who have their ears pierced. 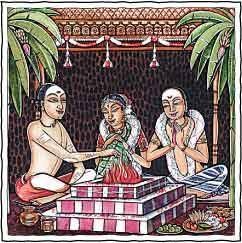 Upanayana aka thread ceremony is the investiture ceremony of the sacred thread where Brahmin boys take the life of a bramachari. They are adorned with a sacred thread hung from one shoulder and passed around their front and back. This day, Lord Indra is invoked and offerings are made to him. Vedarambha or Vidyarambha is observed when the child is initiated into study. In ancient times, boys were sent to live with their gurus in a ‘gurugriha’ or hermitage to study. Devotees pray to the Hindu God Apawaka on this occasion. Samavartana is the convocation or the commencement to the study of the Vedas. Vivaha is the lavish nuptial ceremony. After marriage, the individual enters the life of a ‘grihastha’ or conjugal life – the life of a householder. Lord Brahma is the deity of the day in the wedding ceremony. Tretagnisangraha is the auspicious ritual that starts the couple on their domestic life. Antyeshti is the final rite of passage or funeral rites that is performed after death. These samskaras bind an individual to the community that nurture the feeling of brotherhood. A person whose actions are connected to the others around him would definitely think twice before committing a sin. Lack of samskaras give rise to indulging in individual physical pleasures and fanning one’s animal instincts. The inner demon is aroused that leads to the degeneration of oneself and the society as a whole. 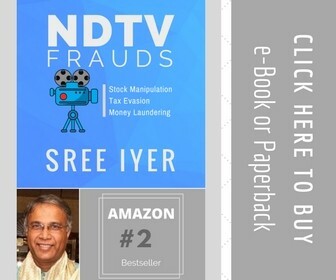 When a person is not aware of his moorings in society he runs his own selfish race against the world and the greed to pitch himself over others leads to destruction of not only his self but the entire human community. So, the samskaras act as a moral code of conduct for the society.